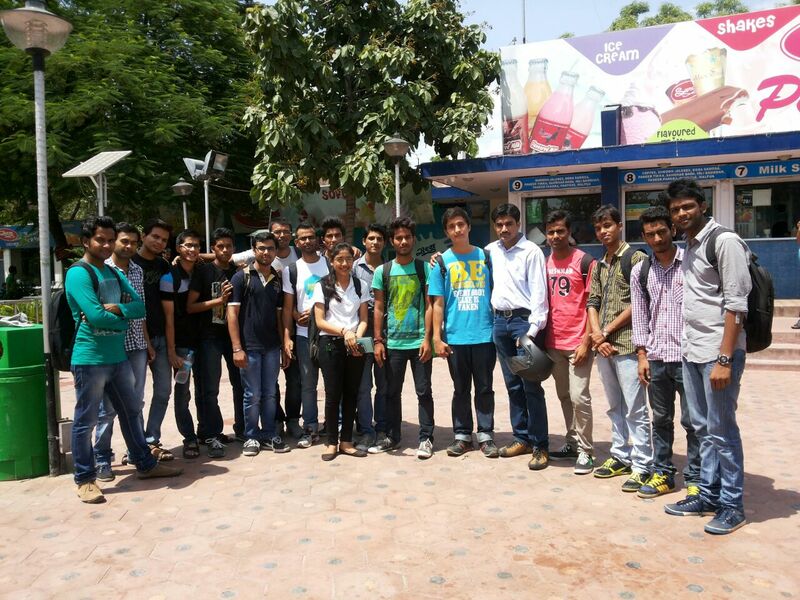 This was first Brave Meet-up in Jaipur. It started with a welcoming session where each participants introduced themselves. Then we started with the introduction of Brave and Why brave ? What makes brave different from other browsers? How the user data is not shared with Data Hungry people ? And Why brave things its better to give user a configured browsers with all the privacy and security add-ons enabled by default. These were the questions which was being discussed with the participants. Everyone has attended one or the other privacy related event. 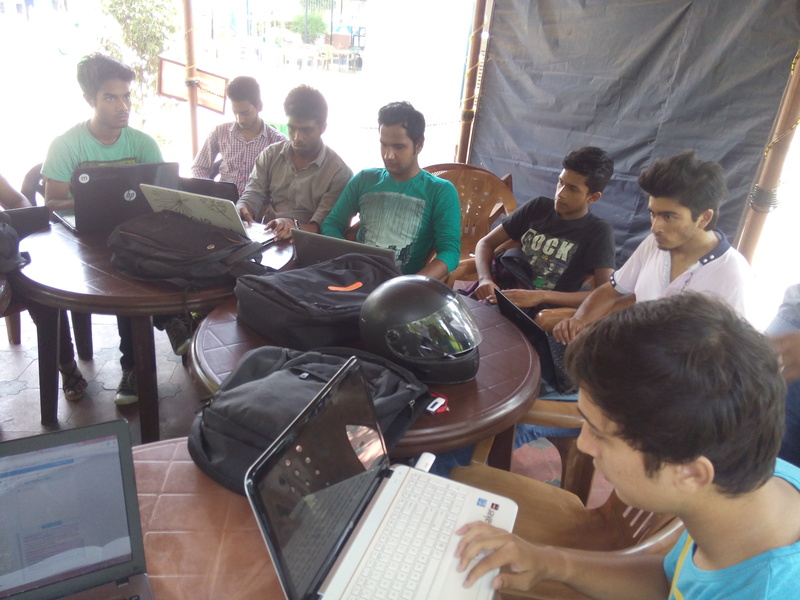 So they understood well the concept of Privacy in brave browser.It was fascinating to them when they get to know that they don’t have to configure and download plug-ins to surf the web securely in Brave Browser. Finally we wrapped up with a group picture with a promise to Protect the Web and help others knowing their privacy rights on web. Great thanx to all the participants for making this event a wonderful one. when i woke up early in the morning i was a bit nervous about my event. i reached early to saras parlour (event location). 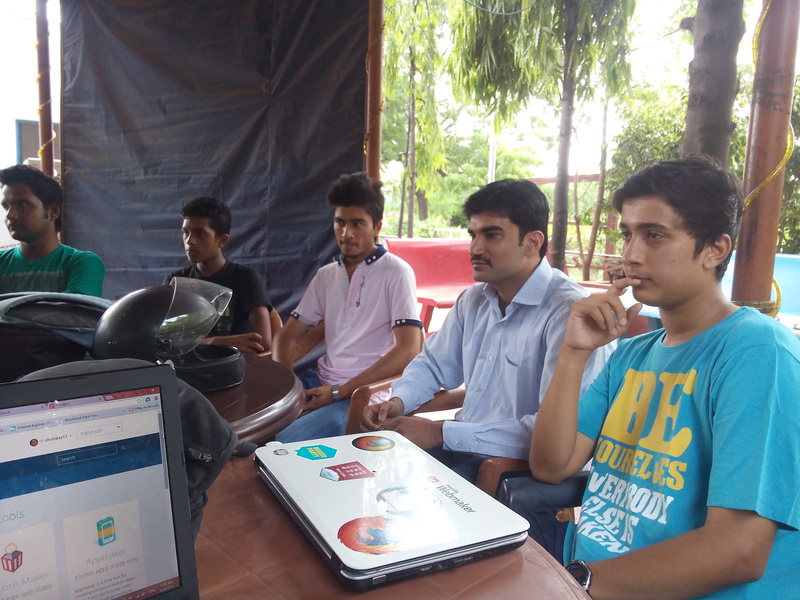 I got a good amount of help from trishul bhaiya, adit bhaiya,meghraj sir on how to make this event a successful one. From last one week i was in regular contact with Trishul bhaiya,Adit bhaiya and meghraj bhaiya. They guided me to make this event a successful one. All participants reached on time.Event started @11. Event started with the brief description of the participants. And they were asked to tell about what they know about open source? 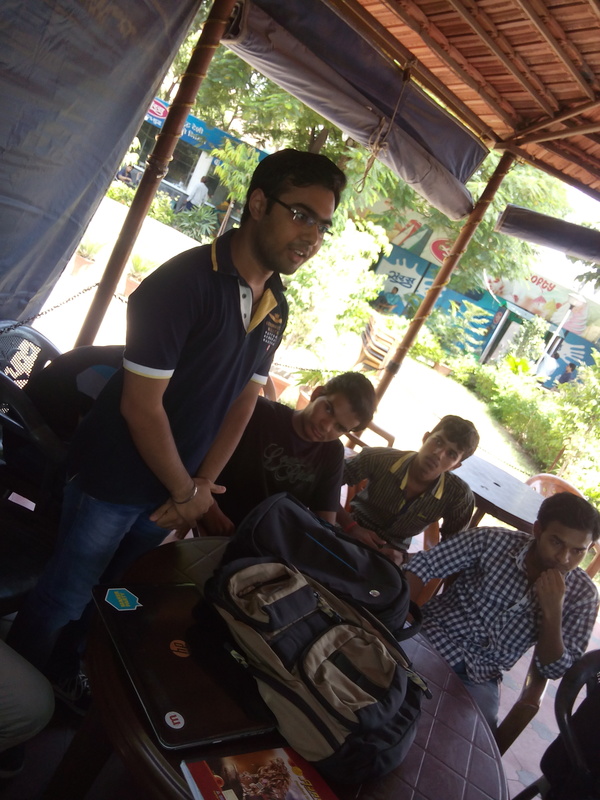 We All were listening about Mozilla’s history,How Firefox OS started from Adit Bharadwaj(Mentor of our event) and what we see that, from far a special guest arrives to the Event The “DUMB” guy non other than Our Osho sir . 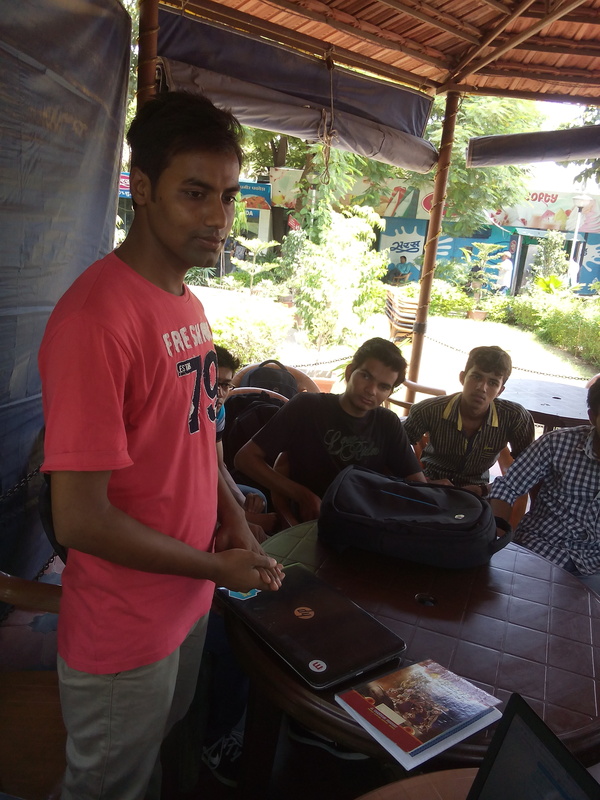 Osho Sir explained about what open source is and what mozilla is? 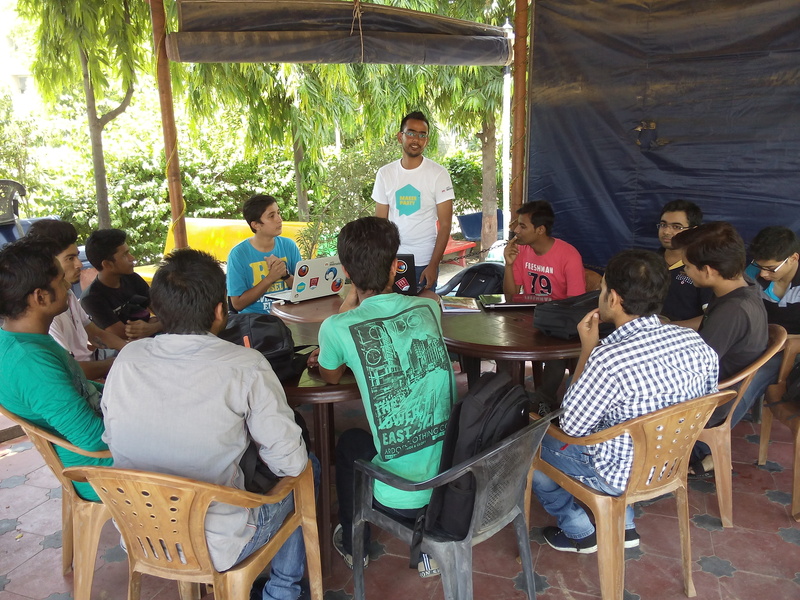 and told us about the ways of contribution to mozilla. 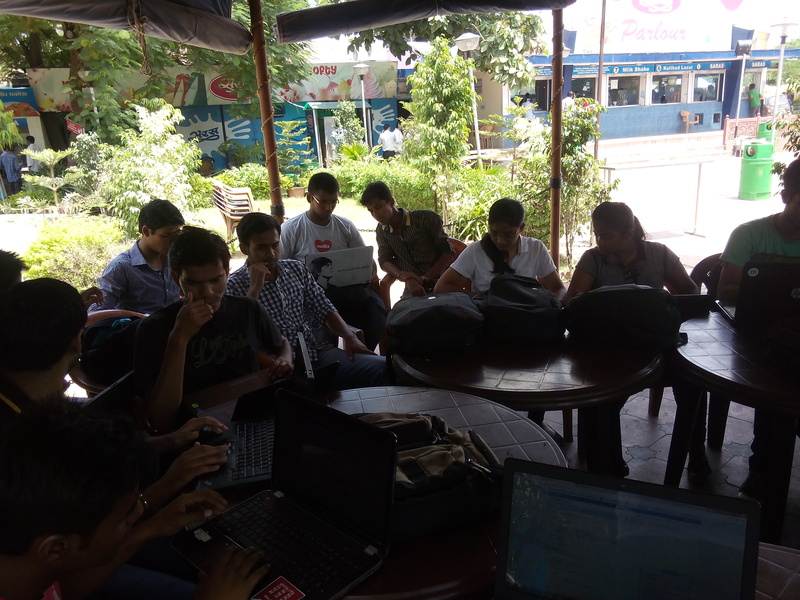 A brief description of Webmaker was given and App-dev session started. 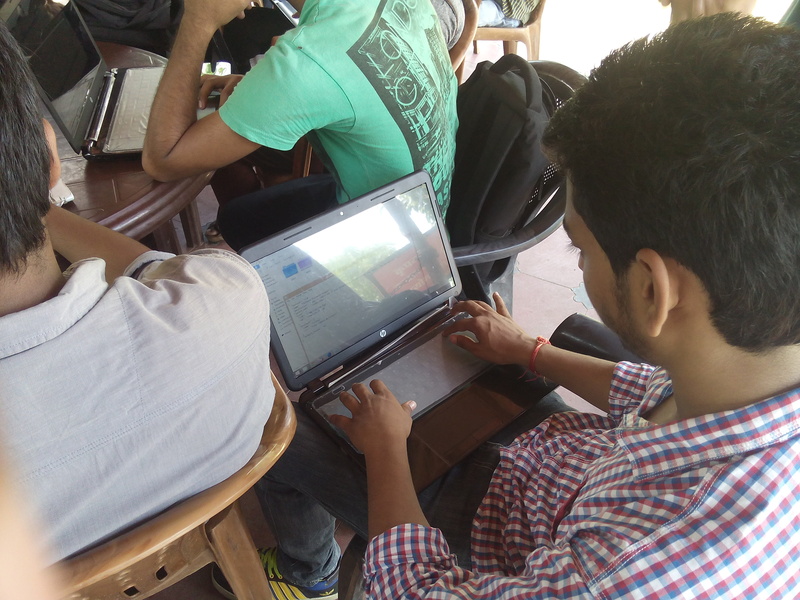 Participants were very much excited to learn about app development. 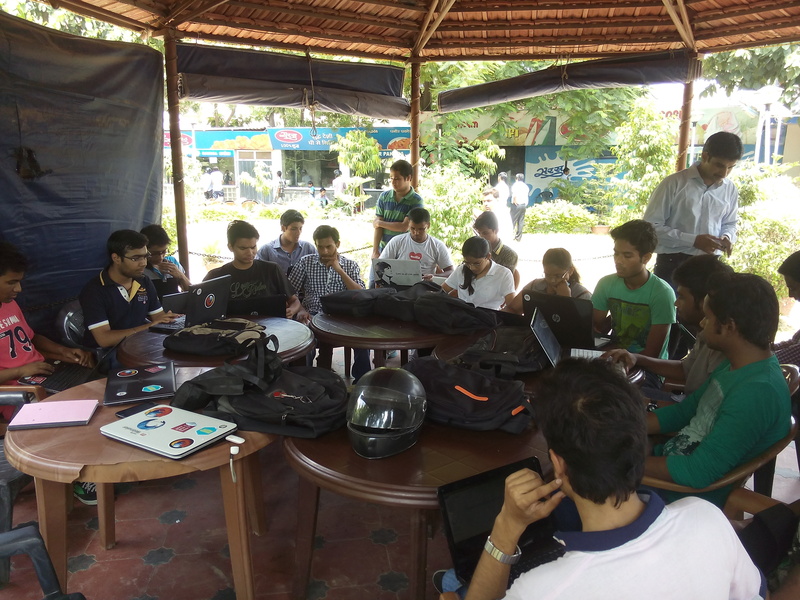 manifest files were given to students and hands on started. 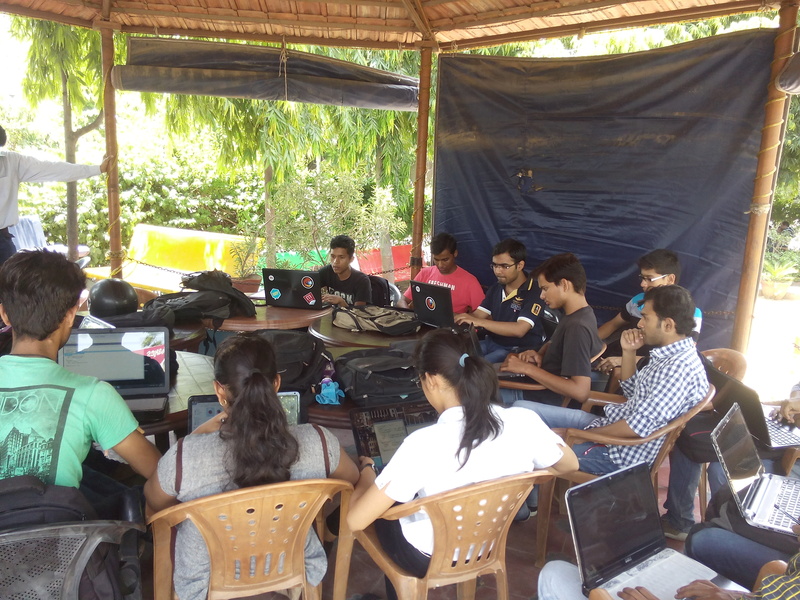 Though event was over but few participants were eager to learn about how to contribute in mozilla. 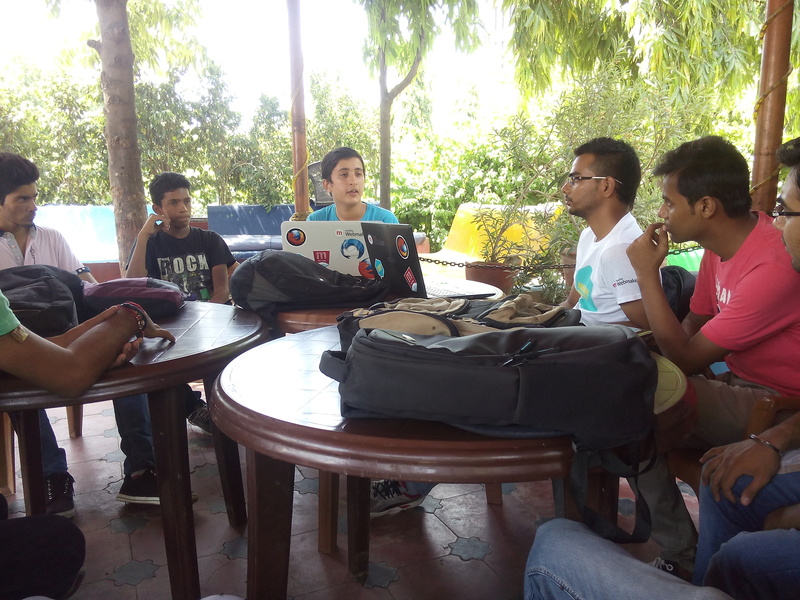 Talha and I taken a short session on how to contribute in localisation and Webmaker . and Student ambassador registration steps were explained to newbies..
Great thanx to all the members of MCR making this event a succesful one. thank you Meghraj sir for all the support you gave to me and adding my event on rep portal. 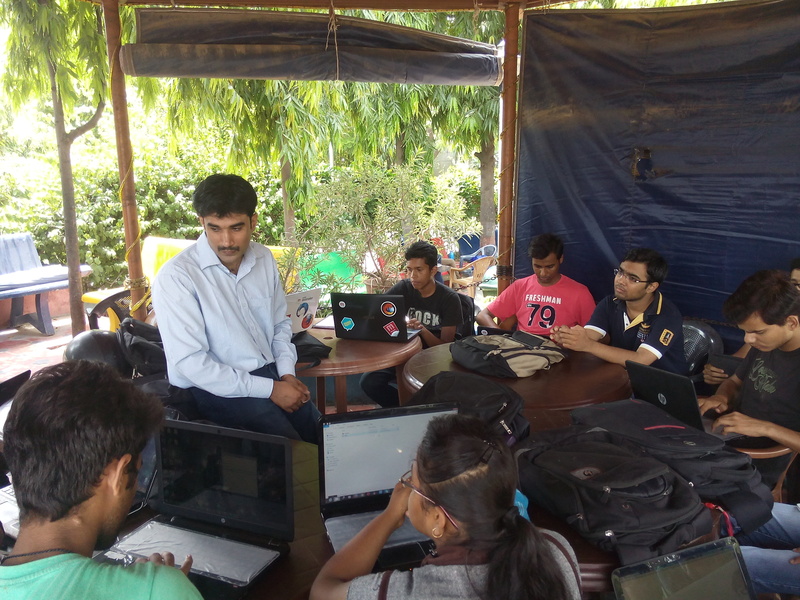 thank you adit bhaiya for being a mentor to the event. thank you Osho sir for your presence in my event. 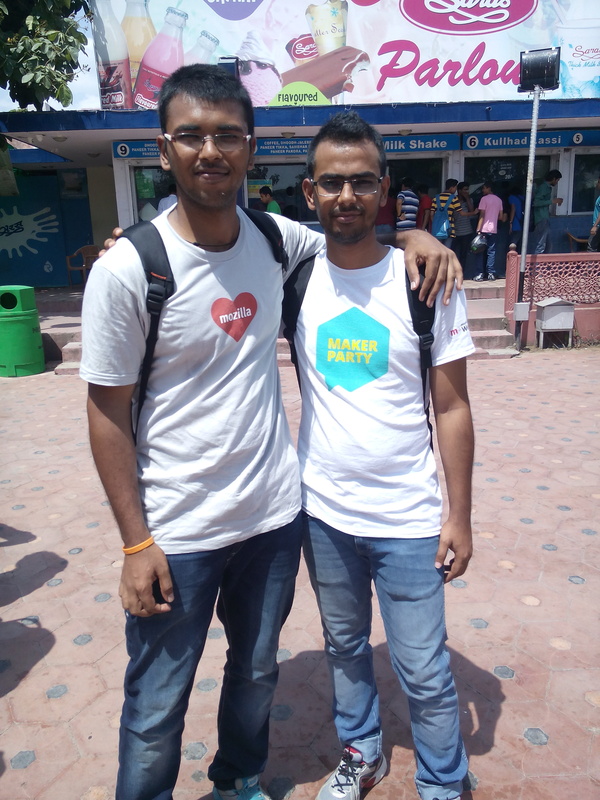 And a great great thanx to Trishul bhaiya for guiding me at each step of event.